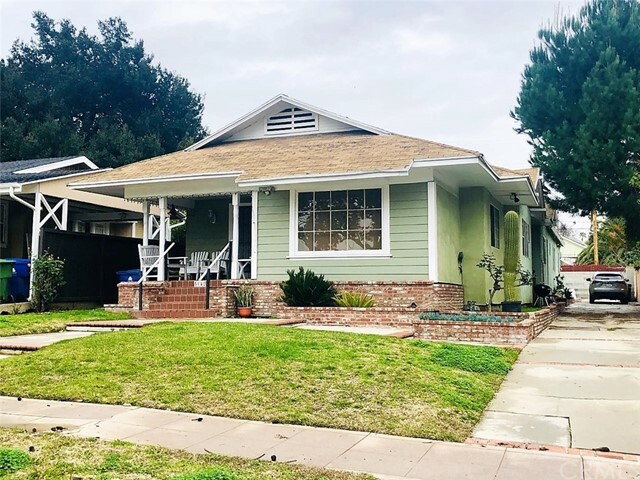 All Eagle Rock homes currently listed for sale in Eagle Rock as of 04/21/2019 are shown below. You can change the search criteria at any time by pressing the 'Change Search' button below. 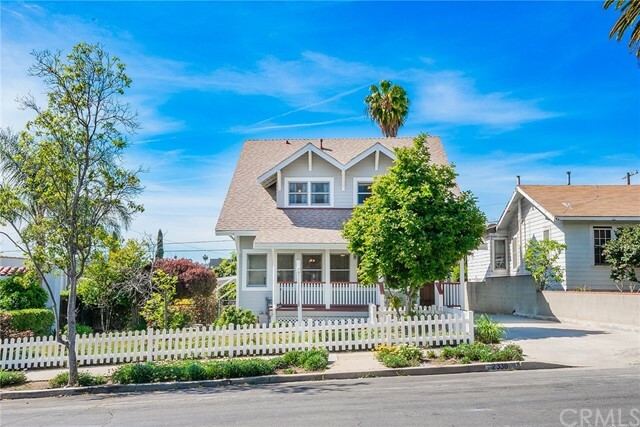 If you have any questions or you would like more information about any Eagle Rock homes for sale or other Eagle Rock real estate, please contact us and one of our knowledgeable Eagle Rock REALTORS® would be pleased to assist you. "Perched above one of the most desirable streets in Eagle Rock, this contemporary hillside home has an amazing view of the city below. Multiple skylights create a light filled estate that is perfect for entertaining. The stylish formal dining room leads into a spacious updated kitchen with center island. The property features a large media room with built in projector and screen, master suite with walk-in closet and spa tub, copious storage throughout, three car garage, several patios including a"
"*****Under Construction****** Here is your opportunity to own Brand New Construction in trendy Eagle Rock! This three bedroom and three and half bathroom Modern Farmhouse style home is schedule to be completed end of May 2019. Other features include; large great room, dining area, master bedroom, high ceilings, stainless steel appliances, and much more! 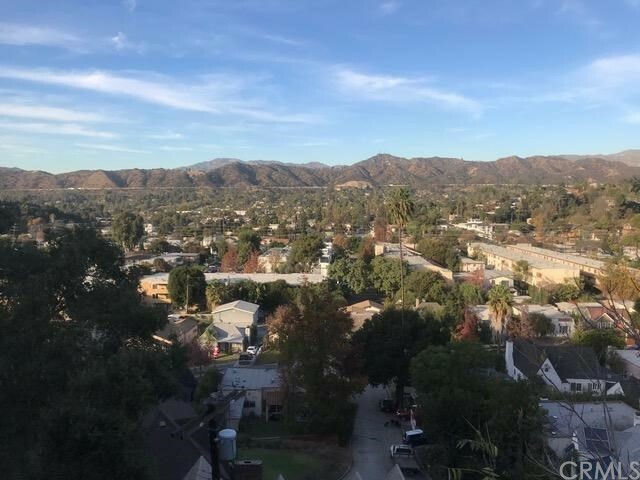 Located north of Hill Drive and a short walk to Eagle Rock Park, Dahlia Heights Elementary, Found Coffee, Craft Beer Cellar, Trader Joe's, and o"
"Views Views Views! Nestled along a beautiful neighborhood in Eagle Rock Hills, this 3 story property has the city as its backdrop as each floor features its own private balcony with mountain/city scenery. Exquisite kitchen with granite counter tops and stainless steel appliances .Custom hardwood flooring throughout, along with custom bathrooms, doors, windows,moldings,copper plumbing.Central a/c, large living room with floor to ceiling window overlooking the city, and a spacious dining room that"
"Nestled at the top of the hill, overlooking Los Angeles country this home has an amazing view of the twinkling lights below. This beautiful upgraded home will be your buyers new home. From the remodeled bathrooms to the upgraded kitchen your home buyers will not need to do any upgrades, they are all already done and ready for them to move on in!" "A rare opportunity in red-hot Eagle Rock. This spacious, newly-built home includes a commercial storefront on a popular street; live and work with zero commute, or realize income potential with one or both units. The beautiful upstairs residence impresses with an open kitchen, center island, stainless appliances by Bosch. On the 3rd floor find 3 bedrooms including a Master Suites with a walk-in closet, and a generous laundry room. On the ground level a corner-unit commercial space with separate "
"Amazing opportunity to own this beautiful 2 story home featuring 5 bedrooms, 2 baths located walking distance to many local shops and eateries! Step up to the spacious front porch, perfect for your morning coffee or evening chats. Walk into a home that boasts its original charm and features upgrades that include new interior and exterior paint, and new carpeting throughout. 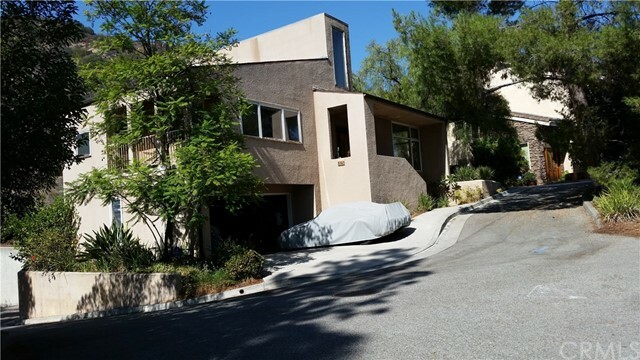 Additional features include a master bedroom on the main floor, an enclosed patio area perfect for an office space or play "
"Perched on a hill top overlooking the highly desirable area of Eagle Rock sits this beautifully remodeled view home. Enjoy cooking in the gourmet chef s kitchen with high-end stainless-steel appliances, granite counter tops, and vaulted knotty pine tongue/ groove ceilings. Many other features include gleaming hardwood floors throughout, two remodeled bath rooms, extra storage spaces, and a spacious yard with several different types of fruit trees. Enjoy the Southern California lif"
"LOCATION...LOCATION...LOCATION!!!! 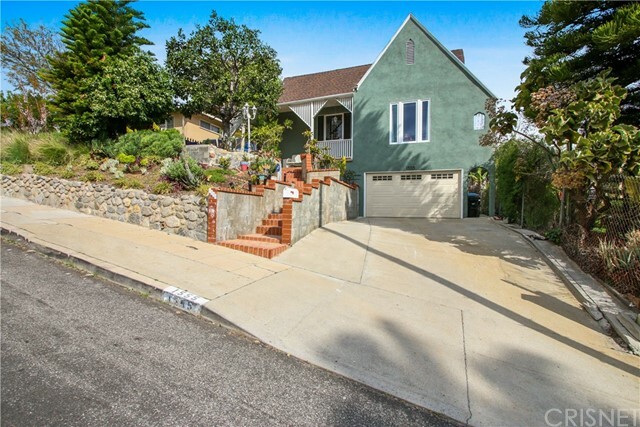 This home features 7 bedrooms and 3 baths highly desirable area of Eagle Rock. Spacious home with a large lot! Located within walking distance to trendy restaurants, one of a kind boutiques and shops. Tile and wood flooring throughout, large kitchen area, with a long driveway enough space to park many cars. This is a fantastic home for a large family or a great income producing property." "In 1960, life seemed less complicated, which is part of why midcentury style is so popular today. This home is a good example. The simple, clean lines, high open-beamed ceilings give a feeling of space, of expansiveness, of endless possibilities. The layout is straightforward, providing spacious rooms and a workable floor plan that includes an entry hall, a true master with its own bathroom, and a kitchen/dining room with plenty of space for cooking and entertaining. Recently refreshed with cork"
"Brand new construction in Eagle Rock providing beautiful modern design and city-central access. The detached residence features 3 bedrooms, 2.5 bathrooms, a private 2-car garage and rooftop deck with sweeping views of hillsides and nightly sunsets. On the ground level find handy flex or office space; upstairs is open-plan living, dining and kitchen with a center island and stainless Bosch appliances. An eco-conscious small lot footprint with dual-pane windows, tankless water heater, smart automa"
"Back on Market, by no fault of seller. Calling ALL Investors!! This is a perfect opportunity to own a property in a highly sought after location - Eagle Rock! 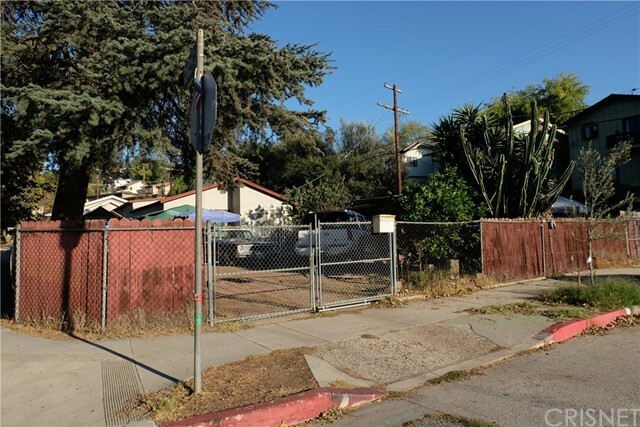 This 4 bedroom 2 bath FIXER home sits on a 7,300 lot close to schools, restaurants, banks, and other commercial establishments. So much potential awaits!!"